Transformer Inert Air Systems | SPX Transformer Solutions, Inc.
Our positive pressure standard, full length and mini inert air systems are designed to protect transformer oil in the main tank from oxidation and moisture absorption by keeping tank pressure at proper preset levels. 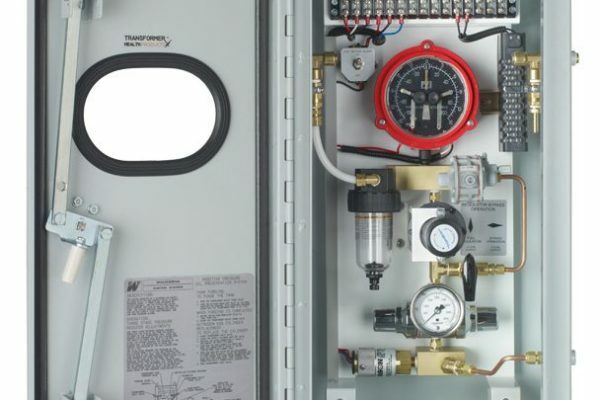 Systems utilize a replaceable nitrogen tank and three-stage pressure gauge for low gas supply. Pressure alarms are provided for both low and high tank pressures. By using these preset gauges and valves, our Inert Air Systems maintain transformer tank pressure between 0.2 psi and 5.5 psi. 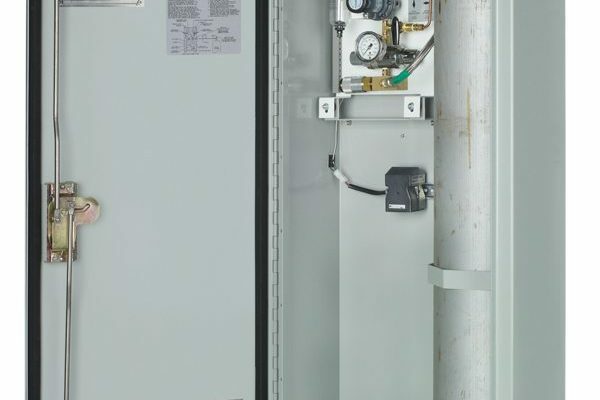 If tank pressure reaches a minimum 0.2 psi, nitrogen gas is sent from the nitrogen supply cylinder through the reducing valve assembly and into the transformer tank. If tank pressure rises above 5.5 psi, a pressure relief valve automatically opens to bleed off excess tank pressure. Contacts are provided for installation of an alarm system to signal if gas pressure at the supply cylinder should drop below 200 psi. A pressure gauge serves as a visual indicator of supply cylinder pressure. Alarm provisions are also available to signal when transformer tank pressure exceeds 5.5 psi and when tank pressure drops below 0.2 psi. For cabinet specifications and detailed drawings as well as part number configurations on our inert air systems, please contact us or download our Inert Air System (English/Spanish) and Mini Inert Air System (English/Spanish) brochures.